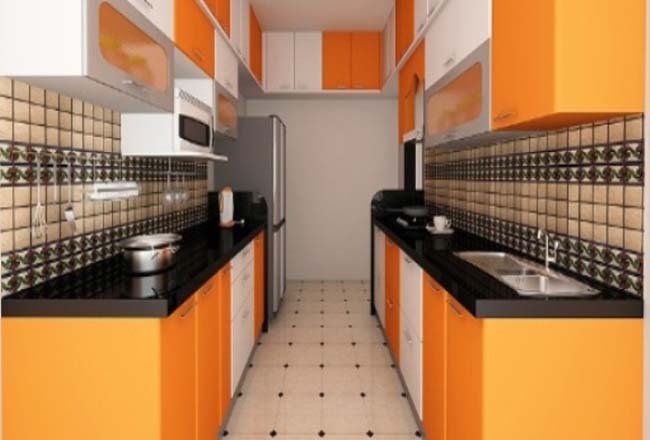 We manufacture customized modular kitchens keeping in mind the needs of our clients. We make sure that the materials used are waterproof and tested by our quality experts. The entire modular kitchen is made in our workshop, and because of this our price is always 25% lower than the market place. Once we complete manufacturing, the customized modular kitchen components are transported to the customers’ premises where they are assembled by our team of experts. It is time for hassle-free furnishing. 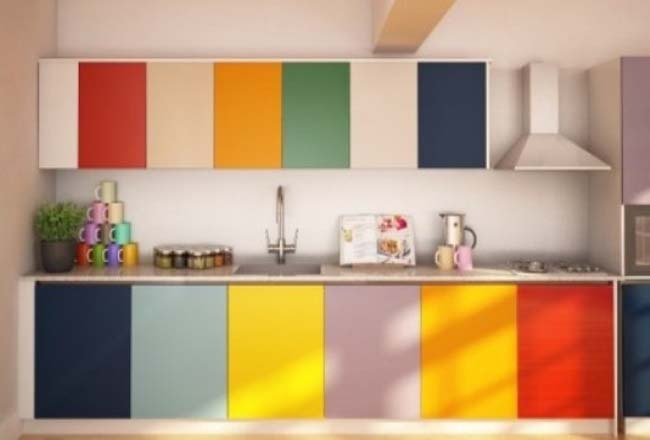 Before you decide to order modular kitchens – find out what sort of design would suit you and your space best. The Five most common modular kitchen layouts are the L-Shaped, Straight Line, U-Shaped, Parallel and G Shaped. – each of these has it’s own benefits and plays with various aspects of the work triangle. We always keep in mind the floor plan of your kitchen – including walls, doors and utilities – you can use the kitchen work triangle for each of these six layouts to figure out which would suit you best. 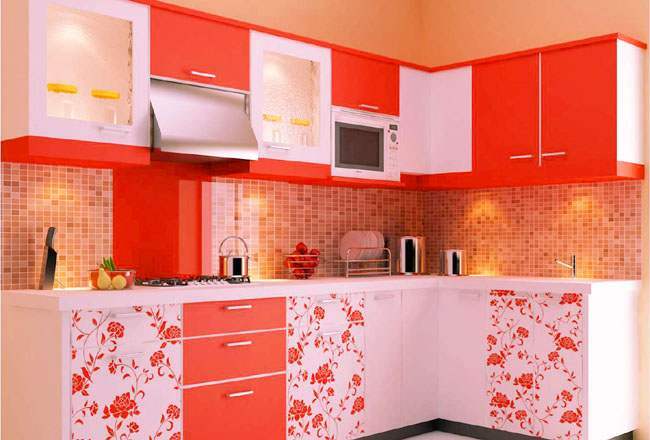 It provides lot of storage space even in the smallest of kitchen areas. Individual components can be replaced if required, without affecting other kitchen components. Installation is easy and less time consuming. 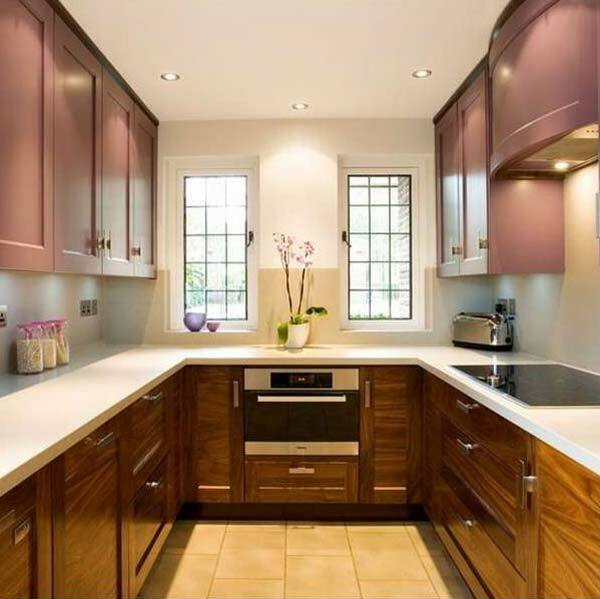 This is one of the most commonly used kitchen layouts and it is ideal for smaller homes. It makes well-organized use of minimum floor space and gives you the advantage of easily incorporating a small dining table within your kitchen. Unlike the other layouts, this type of kitchen does not employ a work triangle, this type of kitchens based on a straight line structure. This makes it ideal for studio and loft apartments; keeping your kitchen space to a minimum while still maintaining best efficiency. If your home has a large kitchen space or you are fan of cooking, the U-shaped kitchen layout is likely to suit best for your kitchen. This layout has the most efficient work triangle and provides the most storage space as well, with plenty of wall and floor cabinets and more counter space too. This also makes it ideal for family homes. When it comes to cooking, the parallel kitchen is the most efficient layout. With two, long working areas that face each other, it can be split into ‘wet’ and ‘dry’ work spaces. 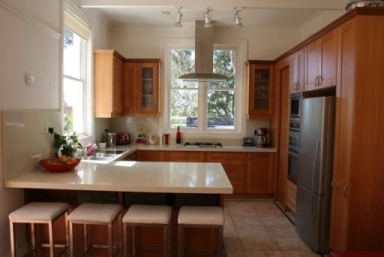 It provides plenty of counter space for appliances and maximizes storage as well. The parallel kitchen is suitable for most types of homes and is easily adaptable to your needs. A peninsula kitchen layout has a free standing workspace that provides a secondary counter, work or entertainment place. This peninsula is connected to the main workspace; making it accessible from three, rather than four sides. Often considered the ideal layout for homes with small kitchen areas, the peninsula provides more advantages than other designs while consume less floor space.